Integration of User Experience (UX) design in product management departments has been a topic for some time now. Discussions are ongoing about UX and agile development, lean approaches and therefore less of detail in UX design et al. UX designers confuse agile product development with just another high pressure process that kills their creative process and they miss a holistic approach to the problem. But why is that? Where product managers and developers seem to have no problem, UX professionals still struggle. I assume this lies within the professional history of most UX designers. Let’s have a look on how the field evolved during the last years. A lot of professionals worked as interaction designers or visual designers in small to big interactive agencies or as so called usability engineers (anyone remembers?) in bigger web companies or other industries. Driven through the nature of the waterfall process and the client-agency-relationship the value generation of those professionals was coined through their output at the end of their process blackbox. Clients had and wanted to approve the output after each step and paid for those deliverables. Whole books of wireframes, user flows and use case diagrams where presented, critizised and ultimatly never used again – still clients saw no reason to change and we as professionals plus our clients knew why they paid us (pretty deliverables). UX designers’ place inside the value chain was quite clear. But also because of that clearly articulated value proposition UX design and research became more and more perceived as a critical factor to the products success. Thanks to that development managers soon realized that outsourcing that knowledge simply does not scale very well. They needed UX designers that could work on everday product improvements in an agile environment. Although Gotthelf’s article is now almost two and a half years old I feel that we still deal with two types of UX value chaines. The first one comes close to the typical agency-client relationship and mostly traditional UX designers feel more comfortable with it. External stakeholders inside the company still need to see why they pay those expensive UX design people. Especially upper management, marketing and sales departments need to see the output of UX designers to acknowledge their value – even when the ouput is never used to develop the actual product. 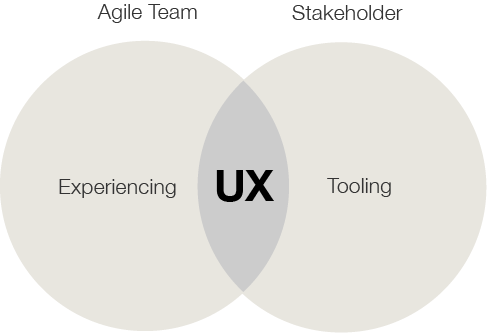 The UX value lies within the deliverables. The second one is closer to generate actual costumer value and preferable when designers work with agile teams. Deliverables are used to communicate the user experience so that everybody knows what must be build to solve user problems. If developers need a visual design to become clear what they have to develop – do it. If not – don’t. If you need more user input – go and get it. Whatever helps you to get closer to the products vision should be done by the team and faciliated or finalized by the UX designer. The difference is that, for instance, the team acknowledges the value of UX not by the slides about the latest user research – they become aware by taking part in user research themselves. As long as the majority of companies out there still struggles to understand the value of the second experienced focused approach I think UX practioners shall focus on building on the old deliverables foundation to deal with stakeholders who need it. 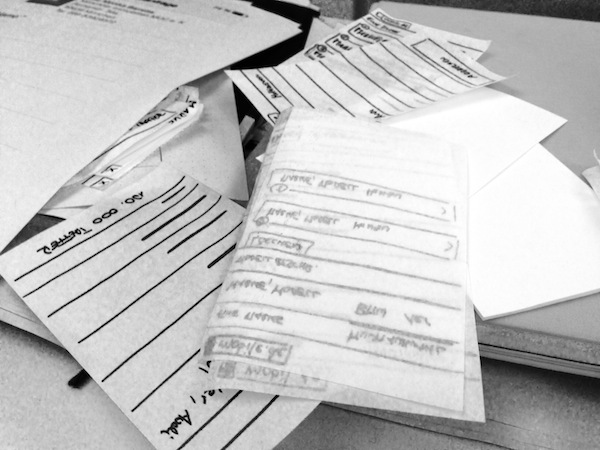 Deliverables are UX designer’s tool to prove their value to unexperienced parties. I call that ‚UX tooling’. Our main focus should be on delivering value through the experiences we try to create with our team (User Experiencing). Consulting the team and facilitating by delivering the right, pragmatic and lean deliverables (research results, interation designs, visuals et al.) for the team must be our main activity. In a nutshell: Just enough deliverables. Additionaly, I totally agree with Gothelf when he says: „UX designers are keepers of the product’s vision“. Guide the team to that vision even when the team does collaborative UX design is one of most crucial responsabilities for an UX designer. This is where traditionalists have to redefine their value chain. Skills now level up from „just“ being a good interaction designer to have a holistic view on user experience design. Interaction designs cannot be done if the designer cannot deduct his or her designs from research. Furthermore an interaction designer must know more about visual design to do good designs and vice versa. As teams become more and more interdisciplinary UX designers must adapt and develop more skills to fullfill the needs for the right deliverables at the right time. We are proud, happy and thankful for Max contributing this blog to our site. 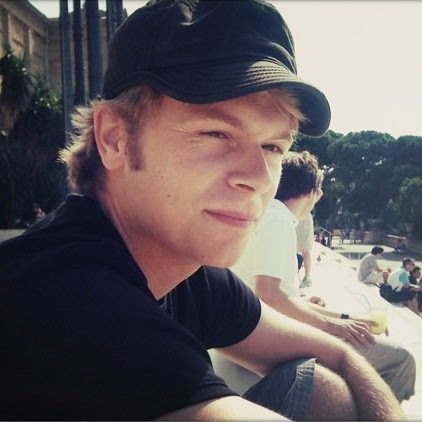 Max is a Phantastin UX designer of the new generation and helps us and others in our eto make UX design as light as possible while as deep as necessary. Follow Max on twitter and visit his homepage! Thanks a lot for all the work and commitment that went into this contribution! Max works at mobile.de, ebay’s marketplace for vehicles.